Today, Architecture 2030 and GreenWizard announced another collaboration on a new tool that provides enabling technology for the 2030 Challenge, released today by GreenWizard. GreenWizard’s new free Energy Reduction Calculator will help gauge progress against the 2030 Challenge targets for energy use in new construction and major renovations. With a minimal amount of information, the Energy Reduction Calculator can determine the target energy use for a project and help to benchmark against the 2030 Challenge goals. The Calculator can also input data from an energy-modeling tool or import an eQuest PARMS file, if available. The Energy Reduction Calculator will allow the evaluation of multiple scenarios for buildings against the average/median site EUI. The tool allows for analysis of a project’s target EUI and shows the percent of energy reduction needed year by year to ensure success as the project moves towards carbon neutral. Additionally, cost savings over baseline design can be compared. 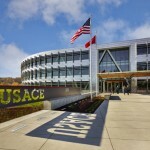 “The goal of our partnership with Architecture 2030 is to achieve relevant carbon reduction through two key drivers: Architecture 2030’s well-regarded thought leadership and GreenWizard’s advanced technology solutions for the design and construction community, further leveraging our relationships with the nation’s top design and construction firms and our $13 billion in existing projects,” said GreenWizard’s founder and CEO Adam Bernholz. 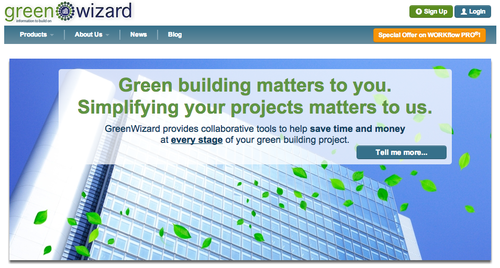 Learn more about GreenWizard on Twitter, on Facebook, or contact them at info@greenwizard.com.